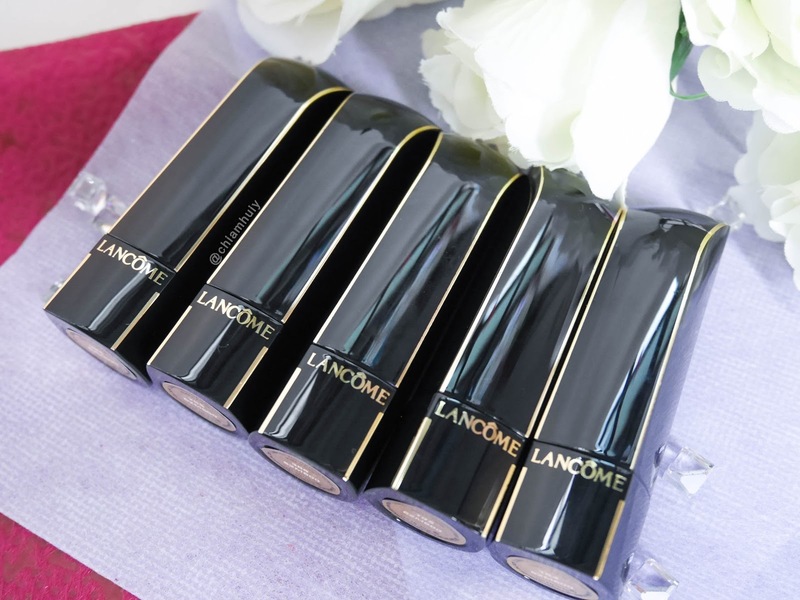 I recently received 5 gorgeous Lancome L'absolu Rouge Definition Lipsticks from my dear girl Alene since she had an extra set, thank you so much dearie! Since I have these 5 #lancomelippies on hand, I might as well do a quick swatch and test out how moisturising these matte lipsticks are! 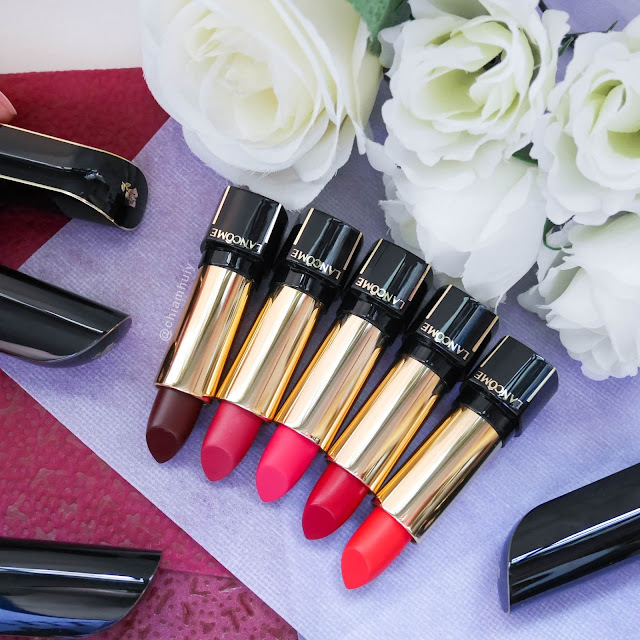 The Lancome L'absolu Rouge Definition Lipsticks come in a classy black lipstick casings with golden linings. In fact there's a part that is magnetic so the lipstick casings and the lids clicked together rather easily. 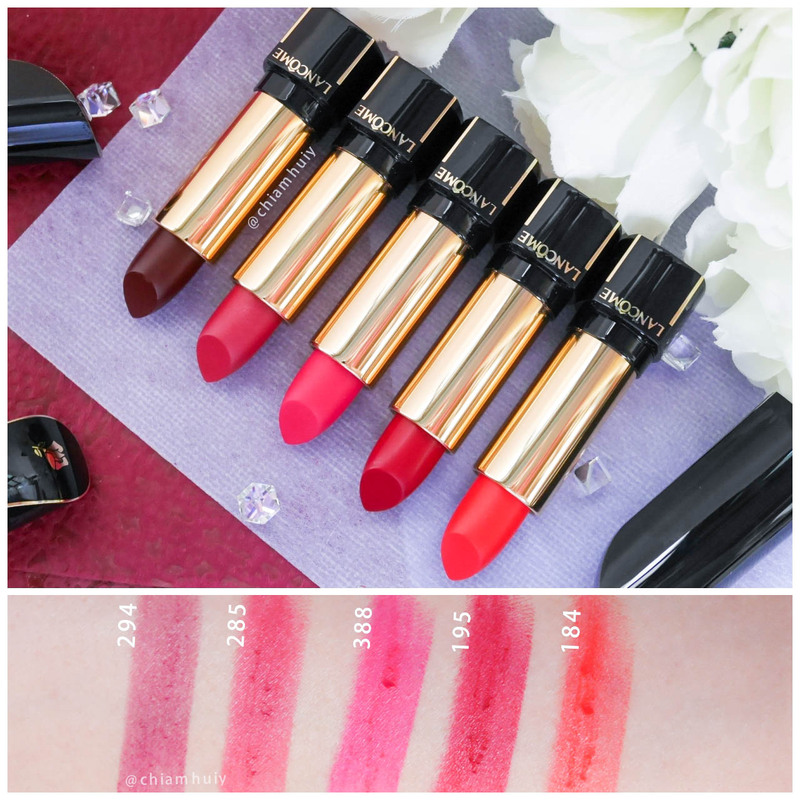 Despite being matte, the L'absolu Rouge Definition Lipsticks are to my surprise, very moisturising yet intense! It's not entirely matte dry but instead gives a nice smooth finishing touch. All five colours are pretty bold so it's really for you to wear these babies out this holiday season. You can always tone down the intensity but just tabbing in the inners of the lips. 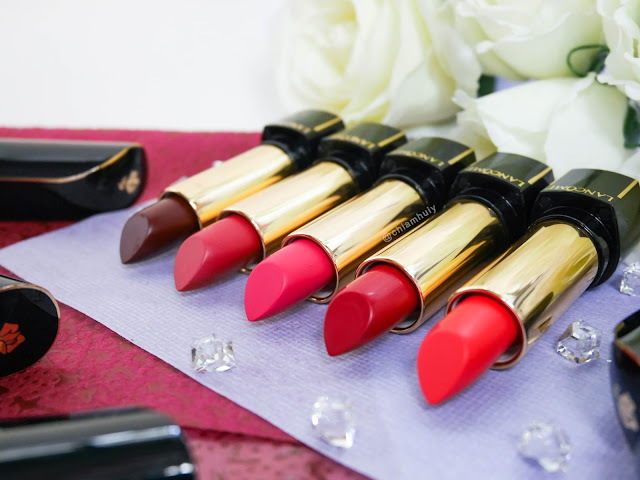 Also don't forget about the bevelled tip which helps you to achieve precision when applying the lipsticks.